Robert Allan Westrop passed away March 22, 2019 in Pincher Creek, Alberta at the age of 76. Born in Calgary on February 9, 1943, he enjoyed an active life and always loved the cowboy way. He pursued an undergraduate degree in animal science from Utah State University where he met his cowgirl sweetheart Audrey Hall. They married in 1966 and moved to Pincher Creek where he lived a beautiful life as a rancher. He was predeceased by his parents Robert and Freda Westrop and is survived by his two younger siblings Don Westrop and Marilyn Freeman, his wife Audrey and five children: Billi (Bob Lowe); Travis (Heidi); Shane (Siobhan); Lindy (Scotty Jessen); Regan (Dan Bikman); 12 grandchildren and one great grandson. 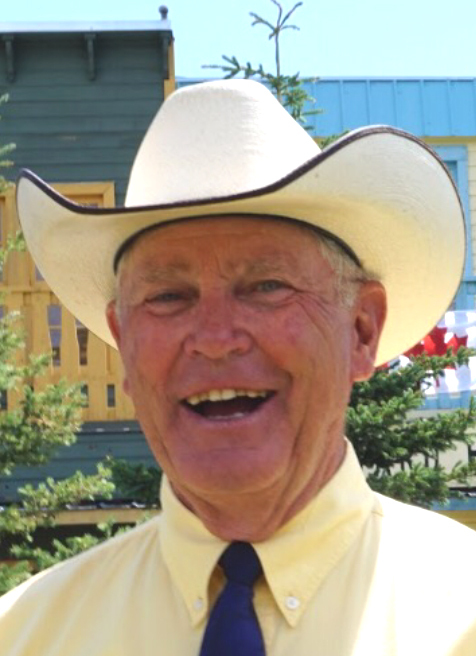 As a rancher and local personality Bob was well loved by many in the area. His love, selflessness, enthusiasm and persistence blessed all who knew him. Funeral services include a meet the family program and community sharing of memories at the Pincher Creek Community Hall on Friday, March 29, 2019 at 7pm with potluck sandwiches and squares requested. Funeral services will be held on March 30, 2019 at 11am at the Church of Jesus Christ of Latter-day Saints 1240 Wentworth Ave. Overflow parking available at Chinook Bible Church, 1255 Bev McLachlin Dr, Pincher Creek. Flowers or a donation to the Pincher Creek Health Centre via the Windy Slopes Health Foundation in Bob’s name are appreciated.